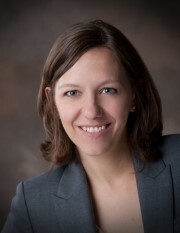 Michelle Nabors Shareholder with Harrison & Mecklenburg, Inc.
Michelle Nabors is a shareholder with Harrison & Mecklenburg, Inc. Michelle graduated from the University of Oklahoma College of Law in 2013 with highest honors and was elected to the Order of the Coif. During law school, Michelle was a Comfort scholar and served as a member of the Oklahoma Law Review. On graduating, Michelle received the Nathan Scarritt Award for the highest academic standing in her class. Michelle also received the F.C. Love Memorial Scholarship for excellence in legal writing, as well as academic achievement awards for the highest grade in Contracts, Secured Transactions, Administrative Law, Family Law, Professional Responsibility, and Legal Research and Writing I. While attending law school, Michelle worked for two years in the Office of Legal Counsel at the University of Oklahoma. She also interned with the Payne County District Attorney and a large civil litigation firm. Michelle received her bachelor's degree in Political Science and Economics from Oklahoma State University in 2003. Michelle was raised in Woodward, Oklahoma. While attending Oklahoma State University, she worked as a manager at the Hideway in Stillwater. Following graduation, she spent a year in New York City before serving as a Peace Corps Volunteer in Azerbaijan with her husband, Craig. Prior to attending law school, Michelle worked as a Peace Corps recruiter within the Oklahoma State University School of International Studies. Michelle and Craig currently live in Stillwater with their two children, Atticus and Franny, and attend the Stillwater First United Methodist Church. They enjoy both traveling and spending time on their farm outside Stillwater.